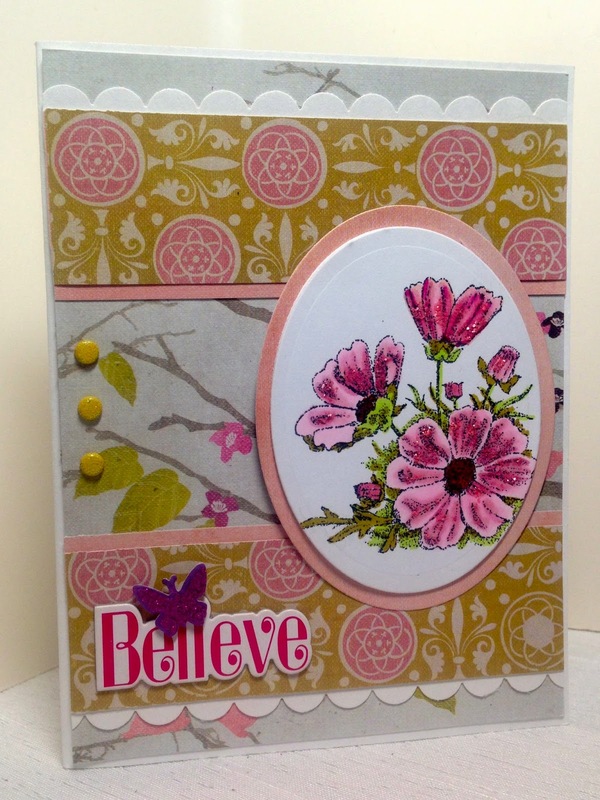 Today's card is actually a re-purposed card re-made from a breast cancer awareness card I made years ago. Several years ago I was part of a design team that did breast cancer awareness cards every month. Well, thankfully I never needed to use any of those cards, so they just sat in my stash for months and years until I re-purposed them. The card below is the last one from my stash. 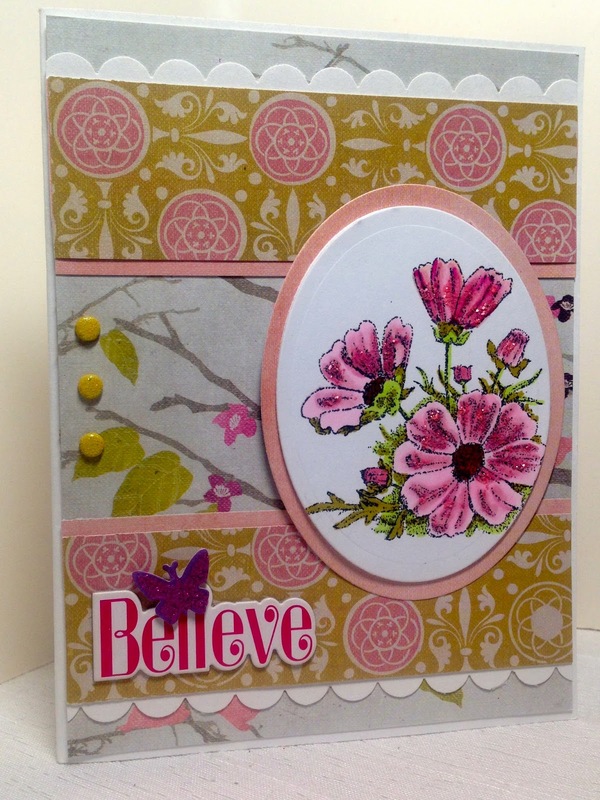 I kept everything the same, except I removed the pink breast cancer awareness image and replaced it with a retired Stampin Up! floral image from "On Gossamer Wings"
This card was sent to a woman in my church who was diagnosed with lung cancer. The sentiment was already on the original card, and I felt it applied to this situation as well, so I left it there. 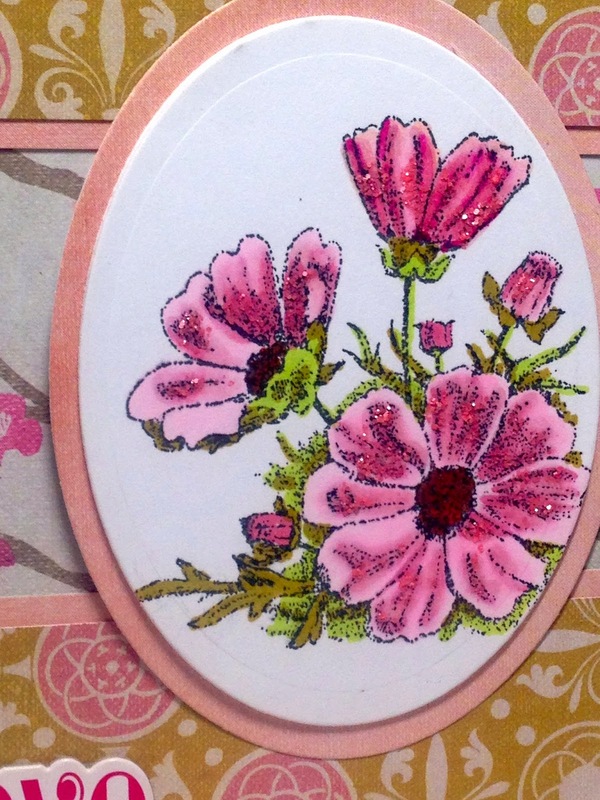 I applied Stickles to the flowers. Everything else: the papers, brads, scallops were already on the card. All I really did was change out the image to create a card that is more suitable for the occasion. So sweet card, very nice !